We can be contacted by the following contact form. If you are a student looking for Conrad’s spreadsheets then please make a request in the form below. Sorry the store is temporarily unavailable. We are at the location indicated by the purple balloon. 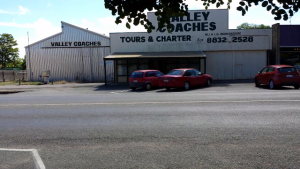 It’s the old valley coaches tours and charter building, we are in the part with the verandah out front. Ignore the sign and phone number on the building. Whilst visitors are welcome without appointment, we cannot guarantee being in the office. We maybe out on site or working from home. The best way to contact us, is by using the contact form above, or email if you already have the address. Please note that due to the nature of our work we cannot be available all of the time. But when we are available we are more than happy to chat and discuss your needs. We can be contacted by email any time (evenings, weekends, public holidays), we also work most days and evenings (christmas day, boxing day and new years day are the only real exceptions.). We really like design. We no longer have a fax as email as largely taken its place. We can be contacted by telephone, however it is not the most convenient mode of communication, not the least of which, is that we work with written specifications and drawings. The phone is typically switched off after 5:00 pm. If busy working we may forget about switching the phone on. If you leave a message please identify yourselves and give the purpose of your call, otherwise we will assume advertising and ignore. We typically need to look at drawings, either freehand sketches or formal architects drawings before we can quote a price for structural calculations and design.